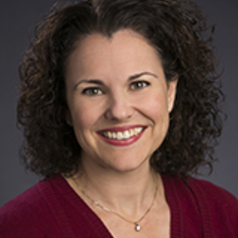 Rebecca Callahan's primary research interests center on the academic preparation of immigrant, language minority adolescents as they transition from high school into young adulthood. She is presently involved in several research projects which explore the effects of school context, social and academic processes, and teachers' pedagogical practices on the academic and civic development of language minority students, as well as students identified with learning disabilities. Recent publications have focused on the effects of English as a second language (ESL) placement on college preparatory achievement outcomes among language minority adolescents; primary language use and college-going among language minority students; and school context and academic preparation on the political participation of immigrant young adults. Her recently published work appears in American Educational Research Journal, Educational Policy, Social Science Quarterly, Theory and Research in Social Education, and the Bilingual Research Journal. Dr. Callahan is also a Faculty Research Affiliate with the Population Research Center, Education in the Transition to Adulthood Group.